“Trio of Nature” features botanical and landscape watercolor paintings of Ellenville artist Lorraine Devore, daughter Dr. Marie Devore and their art instructor, Roberta Rosenthal. They have been painting together for 13 years. The three artists share their love of plants, flowers and nature. Their mutual camaraderie reflects a relaxing meditative interlude in their lives.Join the artists for a reception at Aroma Thyme Bistro. Lorraine Devore, a retired Registered Nurse from Ellenville Community Hospital,grew up on Mount Mongola and was educated in the Ellenville Central School District. She trained at Vassar Brothers Hospital, Poughkeepsie, NY. Lorraine studied art at the Catskill Art Society, with Ed Havas at the Strauss House in Frost Valley, with Elizabeth Mowryand StaatsFasaltat the Woodstock School of Art and with Roberta at CAS, WRS, WAA and Squirrels Nest Studio, Bloomingburg, NY. Lorraine has exhibited her art at CAS, Ellenville Outdoor Art Shows and the Ellenville Library. She is a member of the Catskill Art Society, NE Watercolor Society and the Shawangunk Garden Club. Marie Devore, Lorraine’s daughter was educated at the Ellenville Central School District. Marie received a BS degree from Binghamton University and received a Doctorate of Medical Dentistry from Fairleigh Dickinson University School of Dental Medicine. She hasa dental practice in Barryville, NY. Dr. Devore is the President of Tri-State Dental Society and on the Board of Directors of the Greater Barryville Chamber of Commerce.Marie paints subjects from her perennial and annual display garden. This is Marie’s first exhibit. Roberta Rosenthalgraduated fromNew York City’s Art and Design High School and the Fashion Institute of Technology with a degree in textile design. Roberta continued at The Art Students League and The New York Botanical Garden for botanical illustration. Roberta studied Asian brush painting and calligraphy with masters Koho Yamamoto and Guo Liang Jui. Roberta was a commercial artist at her own studio, RSR Designsin New York City. She has been painting fine art in Bloomingburg, NY since 2001. Roberta is an instructor at The New York Botanical Garden since 1987 and instructed art courses at Mount Saint Mary’s College, Wallkill River School, Star Gallery, WAA gallery and at her Bloomingburg studio. 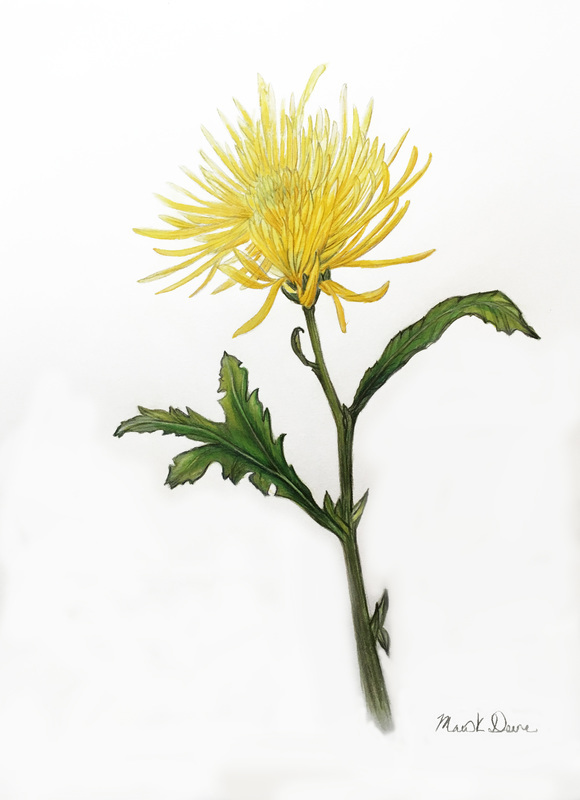 She is a member of the American Society of Botanical Artists, Society of Illustrators, past board member of CAS and WAA Gallery.Roberta is a member of the Shawangunk Garden Club. This is Roberta’s third exhibit at Aroma Thyme Bistro. You can view Roberta’s art at www.RobertaRosenthal.com and www.RobertaRosenthalsKetubahs.com.